Another day, another new Yeezy colorway. Today we get a look a the latest adidas Yeezy through a mock-up of December 2017’s “Semi-Frozen Yellow” colorway. Mind you, this is just a rendering from Yeezy Mafia, but we’ve seen this chartreuse shade before through numerous Yeezy apparel items and a few early sample images. 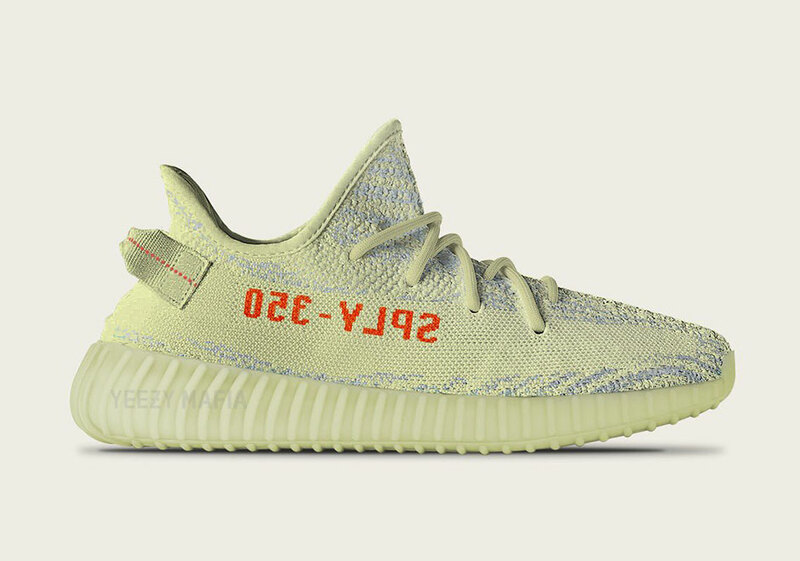 The Yeezy Boost 350 V2 Semi-Frozen Yellow features an alluring combination of off-white lemon throughout while a similar “Blue Zebra” pattern contrasts more traditional red accents on the branding and heel stitching. What do you think of the adidas Yeezy Boost 350 V2 Semi-Frozen Yellow? Stay tuned for a confirmed Release Date as the Fall/Winter season draws nearer.